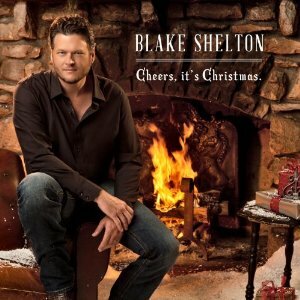 Blake Shelton’s Cheers, Its’ Christmas was released in October of this year. He has some help singing these wonderful songs such as Michael Buble, Reba, his wife Miranda Lambert, his mom Dorothy Shackelford, and Xenia from the hit show The Voice. There is the usual Blue Christmas featuring Pistol Annies, Jingle Bell Rock featuring Miranda and his extremely well done and beautiful rendition of Silver Bells featuring Christina Aguilera. Michael Buble accompanies Shelton with Home and Reba sings with Shelton on Oklahoma Christmas. There is something for everyone on this enjoyable collection of Christmas songs. 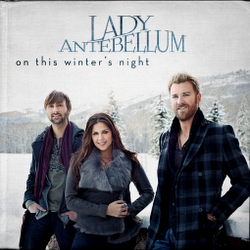 On This Winter’s Night by Lady Antebellum was released in November. This CD also has great old standards like Holly Jolly Christmas. All I want for Christmas, The First Noel and of course Blue Christmas. Christmas (Baby, Please Come Home) is an incredibly beautiful song. Charles’ voice carries it through as it does on most of the tunes while Dave’s background instrumentals and Hillary’s accompanying harmony complete the picture. Particularly noteworty is Hillary singing Silent Night.. It is truly beautiful. While she is singing, Dave’s harmonious voice is in the background singing Lord of My Life . This has the effect of a duet/round , accompanied by an orchestral background ; the result is amazing and well worth listening to. This one track makes the whole CD worth listening to. It is one of the prettiest versions of this song that has been recorded. Christmas music with a country twist, there is nothing quite like it.